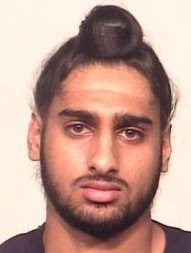 Mandeep Grewal of Coquitlam, brother of slain gangster Gavinder Grewal, has been shot dead in Abbotsford. Surrey RCMP had warned the public in late July of 2017 about associating with his other brother Manbir Grewal, then 28, and four others. 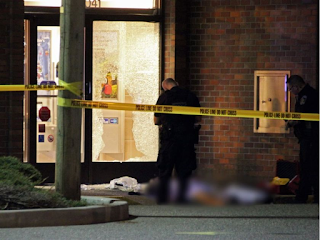 Mandeep Grewal is the 14th South Asian to be murdered this year in the Lower Mainland area. None of the murders has been solved. Gavinder Grewal and Brothers Keepers. Manbir Singh Grewal Police say targets of recent shootings continue to pose a risk to the public in Surrey. In an effort to try and ensure safety, police are identifying five men who are believed to be the targets of shots fired over the past two months. 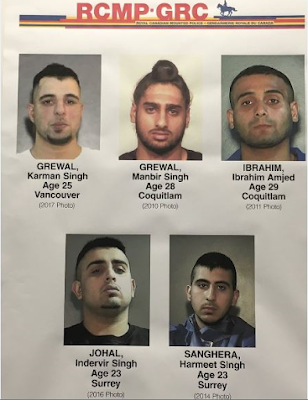 The targets are identified as 25-year-old Karman Singh Grewal from Vancouver, 28-year-old Manbir Singh Grewal and 29-year-old Ibrahim Amjed Ibrahim from Coquitlam, 23-year-old Indervir Singh Johal and 23-year-old Harmeet Singh Sanghera from Surrey. All refused to provide statements or information. Police assume that the men continue to be targets. Ibrahim Amjad Ibrahim was found shot dead in Richmond in October 2017.